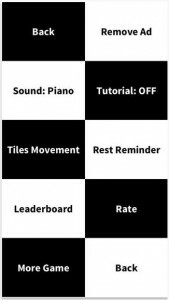 This week’s leading free iOS app is still Piano Tiles, formerly, Don’t Tap the White Tile from Developer Hu Wen Zeng . It’s a terrible game if you are prone to addiction: proceed with caution. We should also mention that the #7 app is a blatant copy of the original app, the #1 Piano Tiles. It doesn’t matter which one you choose because they are both equally addictive.